JOURNEYS OF THE HEART officiants and ministers create and perform non-denominational ceremonies for marriages, births, memorials and other life events. JOURNEYS OF THE HEART officiants and ministers are guided by the conviction that practicing acceptance, love and compassion for all people and meeting the spiritual needs of our members as defined by them is, in itself, spiritual practice. JOURNEYS OF THE HEART is designed as an organic ministry in that it derives its spiritual guidance from our members who request ministry as it responds to their particular requirements. Member participation is an integral part of our process and approval is sought prior to the presentation of any ceremony. JOURNEYS OF THE HEART members are primarily those whom we serve through our ceremonial ministry. Members may either be unaffiliated with a traditional religious organization or choose our congregation and services as an alternative or enhancement to their own. JOURNEYS OF THE HEART officiants and ministers may offer spiritual support or guidance as appropriate in the context of ceremonial requirements.  JOURNEYS OF THE HEART officiants and ministers gather annually for a blessing and commissioning ordination ceremony. JOURNEYS OF THE HEART connects with its members regularly offering seasonal wishes, comforting meditations, thoughtful reflections and to honor requests for prayer. 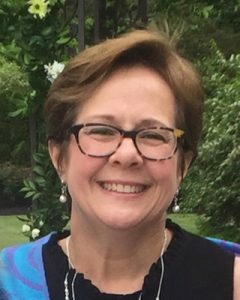 My name is Diane Smith-Hoban, Executive Director of Journeys of the Heart. When we email or talk on the phone, I might ask a lot of questions about your wedding planning. But I will also do a lot of listening as the more I know about you, your background, your beliefs, and how you envision your ceremony, the more wonderful your celebration will be. I’ll also share as much with you as you’d like to know about Journeys of the Heart, answering all your questions and helping make a great plan to connect you with the perfect officiant. With this personal process, we are able to give you exactly what you want for your wedding day…a warm, sweet, and wonderful ceremony created just for you that will be a memory to last a lifetime. I’m always available to help you or to answer your questions. Email me at journeys@journeysoftheheart.org or call 215-663-8980 so we can chat and set up your no obligation consultation with the officiant of your choosing! 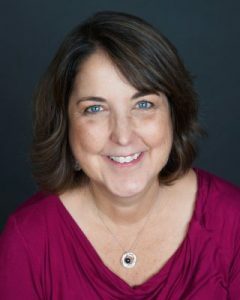 I am Cathy Burton and I am the Administrator here at Journeys of the Heart. If you inquire through our website or send an email to journeys@journeysoftheheart.org you will hear back from me with more information and describing our process. Diane and I work very closely together to make sure all of our clients are treated with great care, as your wedding is so very important to us. I am happy to answer any of your questions, send you a list of available officiants or whatever else you may need to get you started with the fun of planning your own unique and personal ceremony.